I had to get out of the theatre as soon as East of Berlin ended. I hate being emotional in public and, to be honest, I wasn’t sure how long I could keep myself together. I had to sit in my car for several minutes absorbing the story I’d just spent 85 minutes engrossed in before feeling okay to drive. Obviously, when you’re going to a show whose synopsis reads “The story of Rudi, a loyal son whose life is thrown into upheaval when he discovers that his father was an SS doctor at Auschwitz.” you know you’re not in for a lighthearted evening. 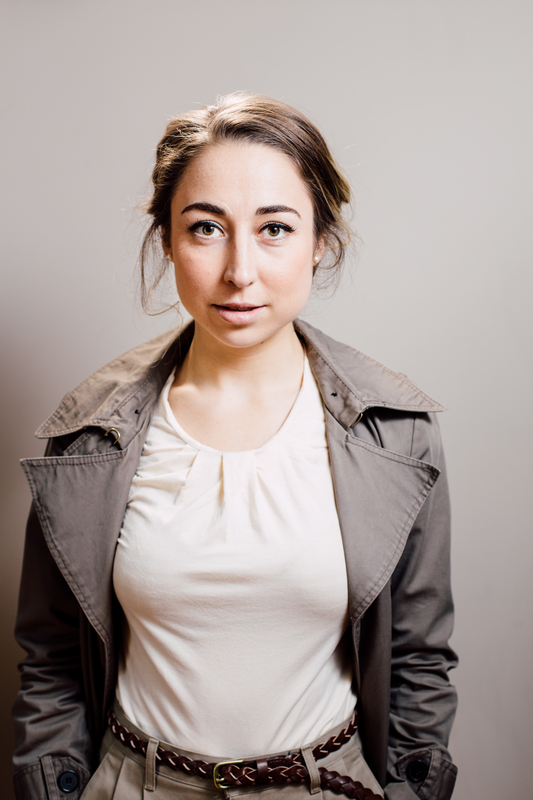 The brilliance of Hannah Moscovitch’s script, coupled with East/West Collective and Punctuate! Theatre’s excellent execution, left me more moved than I anticipated walking into the theatre. The script itself is beautiful and it makes me incredibly proud to know it was written by a young Canadian playwright. With the play running at only 85 minutes, the script is incredibly efficient as it spans the main character’s entire 23 year life in addition to the moments of his father’s life leading up to the start of the story. Although the play is very dialogue-heavy, as most of the play is spent with Rudi speaking to the audience, every word in this play counts. I find that sometimes in very dialogue-heavy plays, the meaning of some of the words get lost in the long monologues, but actor Jamie Cavanagh (in the role of Rudi) and Director Simon Bloom did a great job ensuring that every word’s significance was felt and that the dialogue never felt rushed, but kept moving at a lively pace. In a lesser team’s hands, I don’t think I would have picked up on the subtle ways aspects of Rudi’s life mirrored that of his father, which were both delightful and drove home the question of what effect does the past have on our present. 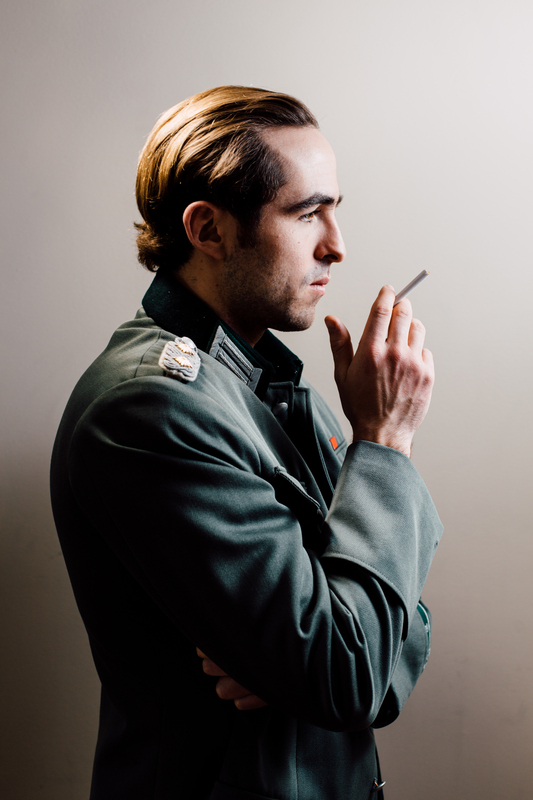 Hanna Moscovitch’s script is also filled with a lot of humour – dark humour, obviously, but which serves the purpose of giving the audience a little break from the grimness of the play and makes Rudi more dimensional. Jamie’s dry delivery of these humourous lines felt so natural to Rudi’s character that the humour, which would have otherwise been grossly out of place, worked really well in the show. As Rudi, Jamie Cavanagh was impressive not just in that he spent the entire play on stage, but the dynamic way he presented his character. Oftentimes shows where someone is speaking to the audience in monologues can get a bit weary, but that didn’t happen in this production. Although we never see the father in person, Jamie brings him to life through impersonation that feels honest instead of mocking and, in doing so, brings another character into the three-person show. Through Jamie’s impersonations of Rudi’s father, which are filled with equal parts admiration and contempt, we get a glimpse into the complexities of the relationship with his father that Rudi is dealing with. On the one hand Rudi is absolutely aware of the exact war crimes his father committed at Auschwitz. On the other hand, Rudi spent the majority of his life with his father just being a kind, loving, ordinary man. The show also featured Mathew Hulshof in the role of one of Rudi’s childhood friends, and Andréa Jorawsky as the woman Rudi falls in love with. Both actors were great in their roles – in particular, I enjoyed the differences in the way Mathew played his character in different ages and watching Andréa’s transformation from a mild and shy stranger to her final scene, which is among the most tense in the show. I really enjoyed the set and lighting of East of Berlin as well, both designed by Nicholas Blais. The lights really aided the rapid scene (and accompanying mood) changes in the show. The star of the technical elements, though, was the set. The way the entrance to Rudi’s family home visually mirrors the train tracks leading to the entrance to Auschwitz was brilliant. I was blown away by the moment in the play where Rudi and Sarah (Andréa Jorawsky) are standing at the entrance to the concentration camp and the dramatic lighting coupled with the set design makes the moment and the symbolic intersection of the past and present so poignant. The set also features many filing cabinets, which looked wonderful on stage but, if I had to pick one thing for improvement, I would admit I kept expecting them to be utilized more as part of the revelations that take place during the show. In short, you need to go see East of Berlin. The show plays April 30 – May 5 at C103 (formerly Catalyst Theatre). Tickets are $15 – $20 and can be bought at Tix on the Square.